Games publisher PikPok has announced the release of The Maze Runner on iOS and Android devices. Developed by Sticky Studios, the officially licensed game is based on the action adventure film The Maze Runner, as well as James Dashner’s novel of the same name. 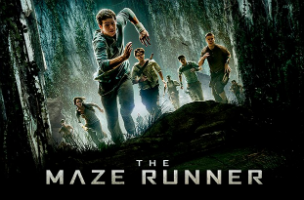 In Maze Runner, players follow the Gladers, a group of teenagers trapped inside a massive maze structure with no real memory of the outside world. In each level of the action title, players will run around obstacles, collecting clues about the maze with the hope of one day escaping. As the name might suggest, Maze Runner is a level-based runner in a similar style to Temple Run. Players swipe left and right on the screen to move between three lanes, avoiding moving portions of the maze wall that might crush them, or large pits in the path, among other obstacles. Players swipe up on the screen to jump over obstacles, or swipe down to slide under others. Each level is timed, and players are challenged with collecting all four maze clues in each path and making it back to the Glade, the maze’s safe zone, before time runs out. If players fail to collect a clue, they can try the stage again to pick up anything they missed. Once players collect all clue pieces in a level block, they unlock additional levels, with more challenge than those before, and so on. Players can tap rapidly on the screen to cause their character to sprint, which saves time, but spends stamina, which recharges automatically while playing. As players run, they’ll collect coins on the path, which can be spent on upgrades for their runner(s), including boosts for this sprint speed and stamina. Additional powers come in the form of coin magnets and time boosts, which will see players pick up all coins automatically for a few seconds (upgrades make the magnet last longer), or see the maze doors stay open longer, respectively. Gamers have access to two free characters. An unnamed “Glader” is available to start (he can be renamed), and players can spend 50,000 coins to unlock Winston. The game / film’s main character, Thomas, along with Teresa, are available for an in-app purchase of $3.99 each. Winston and Teresa offer extended magnet boosts, while the unnamed Glader and Thomas can be revived a single time in each run for free. Each character has their own speed and stamina stats. Players receive free rewards each day they login to the game, and can receive free premium currency while playing (it’s scattered along the path while running). This currency can be used to revive fallen characters, even after the free revival has been used (where available). The game is further monetized via Kiip reward ads, but players can purchase an ad-free upgrade, which comes with other in-game items. Maze Runner is available to download for free on the iTunes App Store and Google Play.